Ever find yourself working your tail off obtaining inbound links only to find yourself outranked by sites with less backlinks? So you hire someone to perform certain link building services such as social bookmarking, link wheeling or 5k directory submissions and forum profile links. You post feverishly in discussion forums which allow profile and signature links. You do all of these things you see suggested repeatedly in webmaster forums, but you still find yourself outranked by sites with much fewer links. Maybe it’s time to just stop and take a look at those links. Do you notice anything special about some of those links? I’m sure some of them share common characteristics with your own links; varied hyperlinked anchor text, no “nofollow” attribute, some might even be contextual. Not much of a difference here. In fact, you’ve even got some dot edu or dot gov blog comment links that are supposed to be omnipotent, but you’re still getting spanked in the SERPs. I’ll suggest that you take a step back and look and the inbound links and page quality of the pages linking to the higher ranking sites. Go two steps back. Don’t just review the page linking to the pages in the top spots, but review the pages and links linking to those pages. 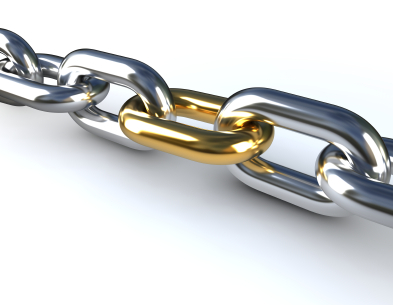 Links coming from pages which have the same or similar inbound anchor text and content carry much more weight than pages with a variety or unrelated inbound anchor text. If a page linking to you with the anchor text “turquoise jewelry” has many inbound links with the same or similar anchor text pointing to it, and it’s content is about turquoise jewelry, you can bet it’ll be a stronger link than one you’ve posted in a comment on a blog about lop eared rabbits.